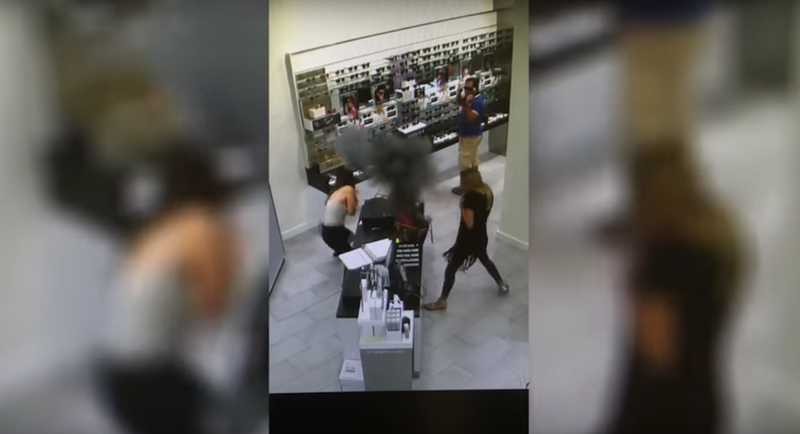 Mara McInerney was visiting a Sunglass Hut at the Freehold Raceway Mall in New Jersey on Sunday, just minding her own business, when everything went terribly, horribly wrong. NBC New York reports that McInerney’s vape—which the accompanying NBC video suggests is a pink KangerTech model—was chilling in her Louis Vuitton handbag, which she says she paid nearly $1,900 for. Suddenly, while sitting on the counter, her bag started puking out black smoke. “Terrifying, scary. It sounded like a gunshot. It sounded like a bomb went off,” she said. The date—Sunday was the 15th anniversary of 9/11—also didn’t help. “I thought someone had put something in my bag,” she added. McInerney certainly isn’t the first person to suffer from an exploded vape or e-cigarette. In February, a Kentucky man was in a convenience store, vape-in-pants-pocket, when his e-cigarette exploded; another man’s vape burned him after it exploded in Texas the same month. We’ve reached out to KangerTech for comment on the bag’s demise, and we’ll update if we hear back.